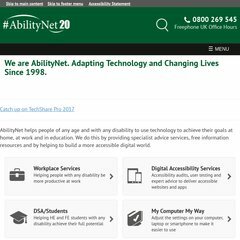 Topics: Accessibility, At Work, In Education, Public Services, Web Services, and Abilitynet. 468 users visit the site each day, each viewing 1.90 pages. judy-waterlow.co.uk Judy Waterlow, Waterlow Score, Pressure Ulcer Care and Pressure .. It has 2 DNS records, ns2.123-reg.co.uk, and ns.123-reg.co.uk. It is hosted by Zen Internet Ltd (England, Lancashire,) using Apache web server. The programming language environment is PHP/5.2.17. PING www. (82.71.204.63) 56(84) bytes of data. The server is slower than 89% of measured websites, at 771 milliseconds. Also a time of 107 ms, is recorded in a ping test.